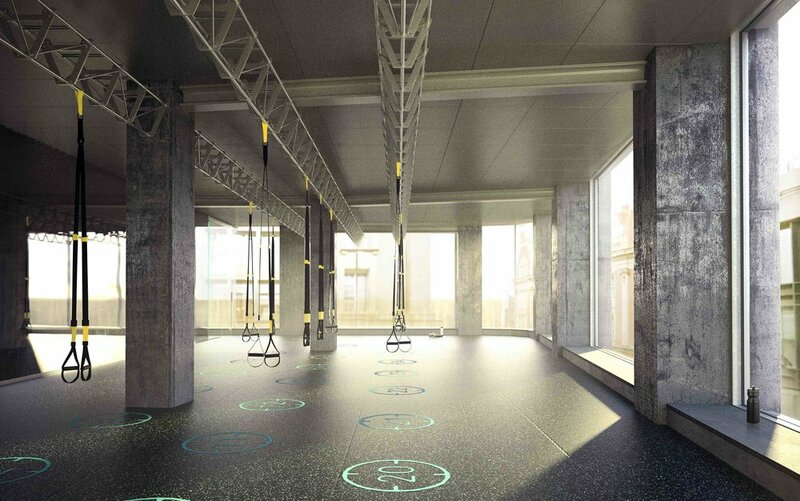 Work out in an extraordinary space where exceptional architecture and fitness combine. Every aspect of Body Machine Performance Studio has been meticulously thought through. The architectural design is the outcome of a consideration of the gym user’s flow, movement and experience, integrated with the utility of the space. 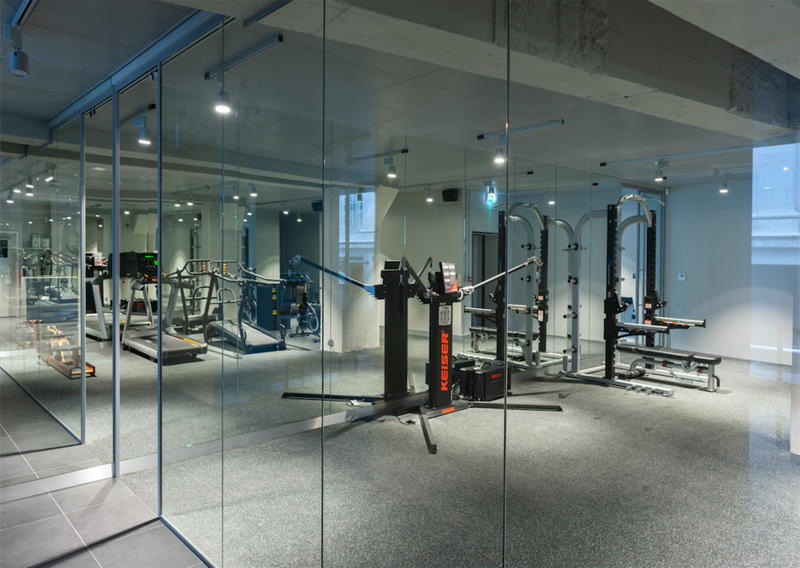 Rather than following the recent trend of working out in neon lights and darkness, the design of Body Machine Performance Studio maximises the presence of the 3-metre high windows overlooking High Street Kensington to bring in natural light. The vision for the space is to keep it open, light, and airy, thus breaking away from the typical gym space format where different zones are closed off and the user often needs to search for signs to find their destination. The studio features a glass lift, 3 metre high windows, 2 metre wide glass sliding doors and glass partitions which allow the space to be very open and transparent, yet not distracting to the training sessions taking place. At Body Machine Performance Studio, we don't believe in fads or gimmicks, only performance-based training that achieves optimum results. We want to create an optimal and functional space that takes into account your needs and the specific activities taking place in the environment. The importance of natural light and open space are never underestimated at Body Machine Performance Studio, Kensington. We are possibly the ONLY fitness studio in the world that is designed by a trained architect who is also a fitness professional. Founder and director of Body Machine Performance Studio, Frances H Mikuriya, whose background is in architecture [with four degrees in architecture, including a PhD] and who is also a fitness professional [with over 20 years of experience in the US and UK fitness industry], has teamed up with Jorgen Tandberg Arkitekt MNAL, fellow alumnus of the prestigious Architectural Association School of Architecture in London, to create an extraordinary space that is both functional and unique. Mikuriya and Tandberg have transformed the 7400 square foot premises in the heart of Kensington (formerly Topshop and Miss Sixty) in London into a state-of-the-art fitness studio, combining carefully sourced equipment, function built zones and a holistic training philosophy underpinned by an environmentally conscious ethos. Rather than following the recent trend of working out in neon lights and darkness, the design maximises the presence of the 3metre high windows overlooking High Street Kensington to bring in natural light. 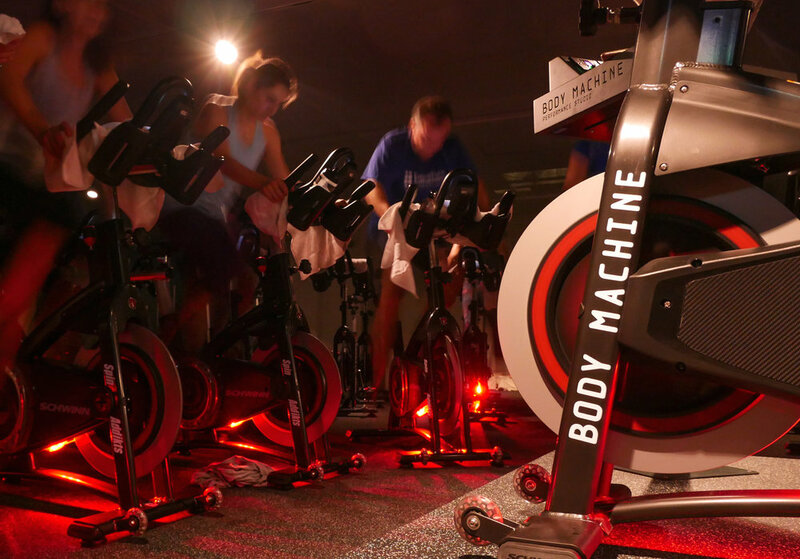 Experience indoor cycling as you've never before. The Body Machine Performance Studio has been equipped with state-of-the art spin equipment. Our indoor cycling bikes are carefully selected and tested. We want to provide you with the best riding experience so that you can maximize your performance and achieve your training goals. The Body Machine Performance Studio One-to-One Personal Training Studio is fitted with top-of-the-range equipment suited for athletes of all levels. Our team consists of carefully selected coaches, instructors and personal trainers who have the knowledge and expertise to deliver the most effective training to each client. NO fads or gimmicks, only performance-based training that achieves optimum results. Whether you’re looking to improve general fitness, recover from injury, or have more specific athletic goals and performance improvement in mind, our carefully selected expert trainers are dedicated to helping you achieve optimum results. RELAX AND RECOVER AT OUR BMPS CAFE WITH A DELICIOUS COFFEE OR WITH ONE OF OUR POST WORKOUT SHAKES. OUR RANGE OF GLUTEN FREE FOODS WILL BE SERVED IN 2019. Register your interest with Body Machine Performance Studio and be the first to find out about our upcoming launch, classes and special offers at our state-of-the art Kensington High Street fitness studio in London.